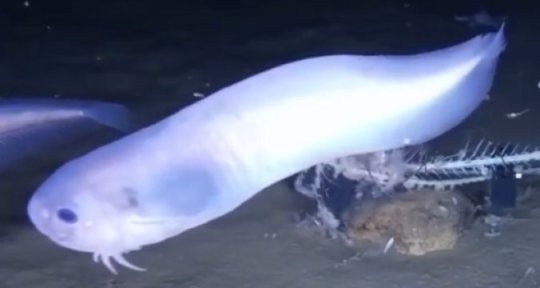 AKIPRESS.COM - An exploration to one of the deepest places on earth has captured rare footage of what is believed to be three new species of the elusive Snailfish, Sciencedaily reports. Instead of giant teeth and a menacing frame, the fishes that roam in the deepest parts of the ocean are small, translucent, bereft of scales and highly adept at living where few other organisms can. The snailfish will be featured as part of the Challenger Conference 2018 which kicks off at Newcastle University from today and runs until Friday.